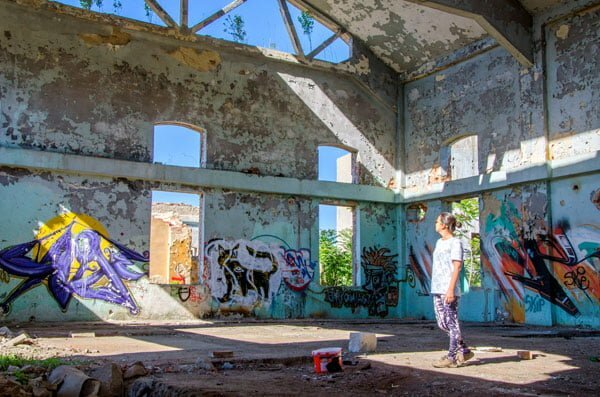 One of the more unusual things I did in Bucharest was visit a lot of abandoned places. 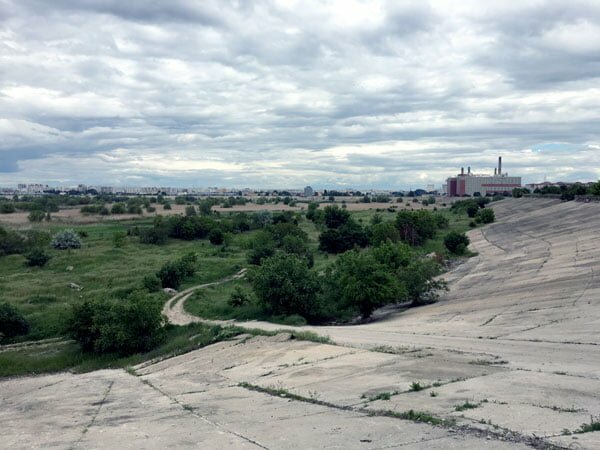 Not quite your typical tourist hot spots, but I wanted to see a less fancy and modern side of Bucharest than what we had been seeing so far. 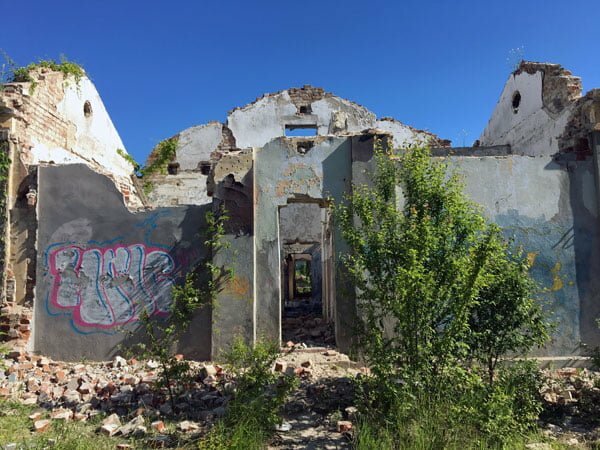 There are a lot of spots in Romania with half-built projects abandoned due to lack of money or a change of regime throughout Romania’s rather turbulent history (perfect for the hipster explorer!). It’s amazing what happens to buildings once people leave – how the environment takes over, and everything crumbles and breaks from neglect. 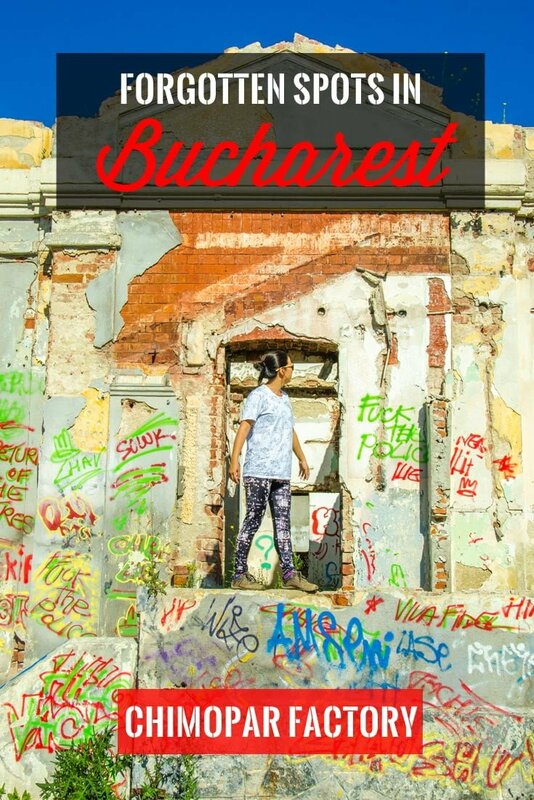 If you’re looking to explore Bucharest in a different way, here are two places that I visited that you can check out too. 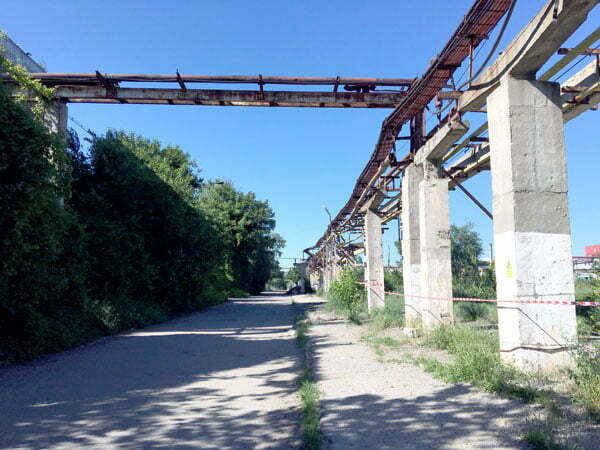 Chimopar is the oldest chemical factory in Bucharest and once a manufacturer of gunpowder. 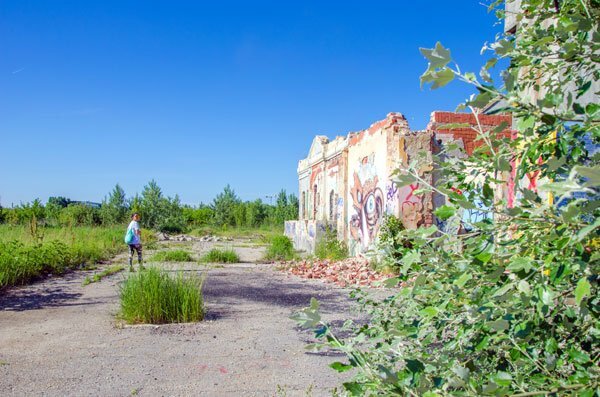 It was privatised in 1999 and while some of the factory is still in use, many buildings on the premises were abandoned and left to decay. 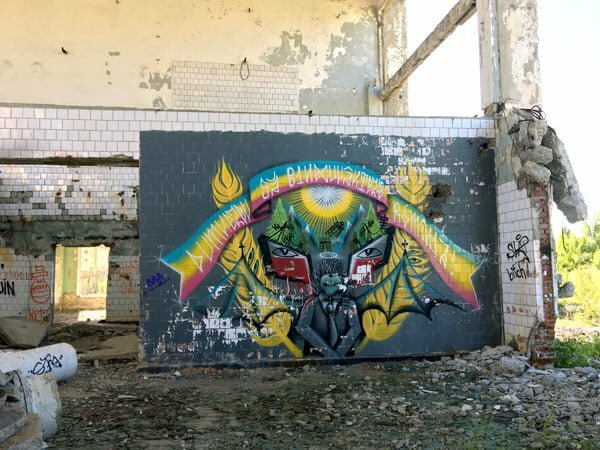 As with most abandoned places, local graffiti writers came in to leave their mark, which is precisely why I wanted to go check it out. and I dragged along the lovely Annemarie from Travel on the Brain with me (she took tons of amazing photos of me!). 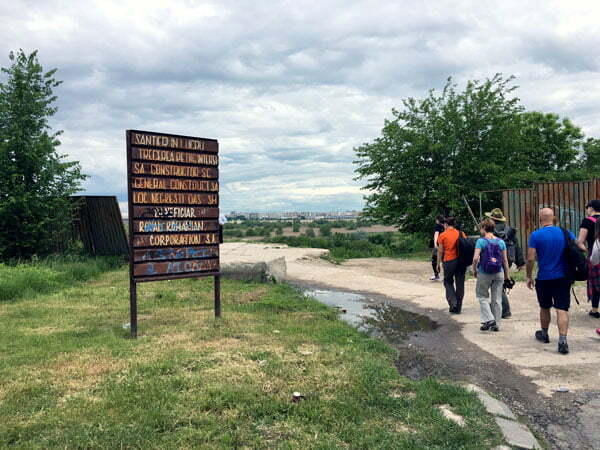 Getting there was a bit of an adventure in itself – the factory is located outside of downtown Bucharest and obviously a place like this isn’t quite marked on the tourist maps, so navigating was a matter of interpreting other people’s instructions and instinct. After finally finding the place, we were stopped by security who didn’t speak much English but had obviously run into other adventurers like us and after some negotiation (re: a lot of smiling and wheedling on our part) he waved us through. We wandered aimlessly for a bit and got scared off by some packs of stray dogs, but finally we spotted some graffiti-covered buildings in the distance and made out way there. 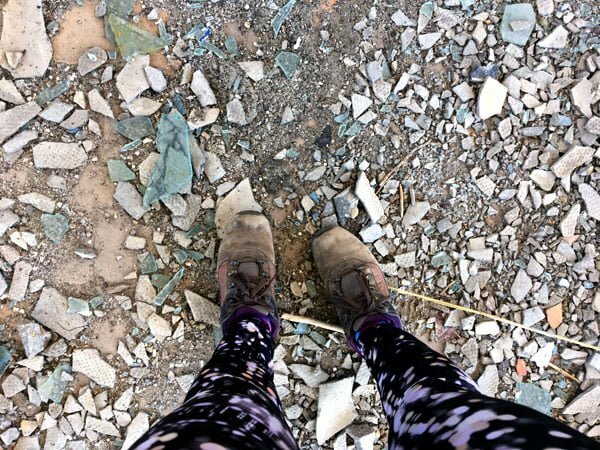 We carefully picked our way through the crumbling concrete, clambering over obstacles and ducking under stray wires, nothing but the sound of broken glass crunching beneath our shoes. My main purpose in coming here was to check out the graffiti, and while there weren’t any huge murals (see this post on street art in Bucharest for lovely large murals), the variety of work here was pretty impressive. It gave the grey concrete some much needed colour, which is great for the photography enthusiasts. Don’t expect to see anything particularly fancy or historical though, it really is mostly rubble and broken down buildings covered with graffiti. We spent about an hour or so poking around the buildings and snapping some cool shots before we decided to call it a day. Take a tour: Given that the factory is officially private property, the Beautiful Decay Tour run by Interesting Times Bureau / Urban Adventures is probably the best way for you to visit this spot as they have obtained permission to enter these private premises, and you’ll have a guide to point out cool things to you and tell you the stories behind these abandoned places. Besides Chimopar, you will get to see several other spaces that are off limits to general public, like a former news agency building and . It costs 35 Euros which may seem a bit steep, but the tour is capped at just 6 people and with the unusual spots you visit, is quite well worth the money. Take the Subway Line M2 (Red Line) in the direction of Angel Saligny. Stop at the 2nd last stop Nicolae Teclu (Note: there is another stop on this line called Nicolae Grigorescu, don’t get confused!). Turn left when you exit the gates – you should be on the side of the road that is more south. You’ll want to walk westwards on Bulevardul Theodor Pallady and a short distance away, you’ll find the entrance of the factory Chimopar. Look for a small sign at the entrance of the fence. There are security guards at the entrance and this isn’t the first time they’ve had avid photographers enter the place, so be nice to them, smile a lot and ask very politely if you can enter. They might ask you for money to close an eye, but we somehow managed to smile our way through. When you are past the gate, Walk down the main road and look to your left – the buildings are located in the field about 5 minutes walk from the main entrance. 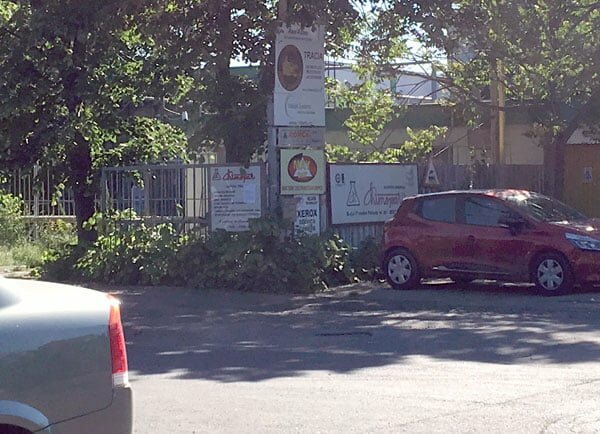 Things to look out for include territorial stray dogs – we ran into a few who barked like hell at us so we walked away and took a different route Make sure you wear good covered shoes as you’ll be going through a ton of broken glass and debris. 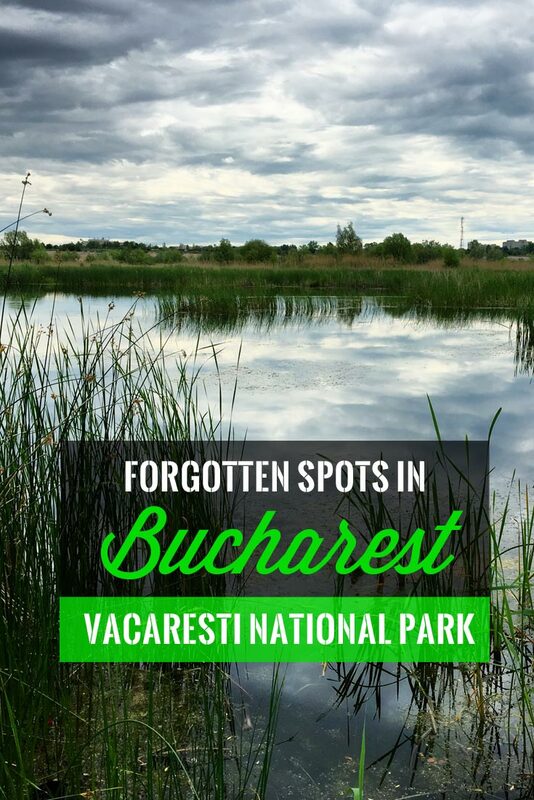 Vacaresti is touted as the only urban delta in Europe, so when the chance came up to visit, I was definitely keen to see this unusual natural spot a mere subway ride away from downtown Bucharest. 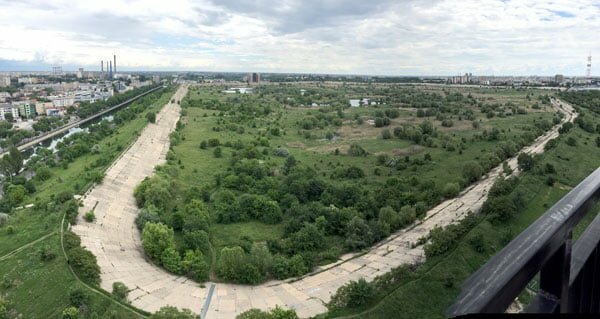 This area was actually meant to be a lake, built by order of President Nicolae Ceausescu during the Communist times, which explains the strange sloping concrete sides reminiscent of a dam all around the area. However, they hadn’t done a very good job and the soil was not particularly waterproof, and it wouldn’t hold the water in the lake. Combine that with the Romanian revolution in 1989, the failed lake project was abandoned. 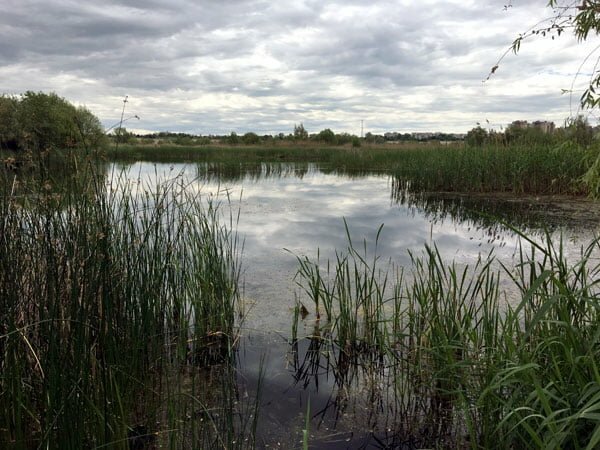 Left to its own devices, it became its own little wildlife area and to the surprise of a recent nature study, a favourite habitat for birds and other small creatures. 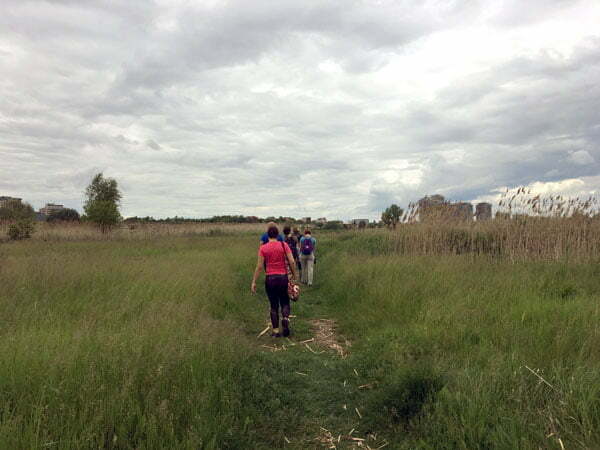 My first impression of Vacaresti was honestly not particularly impressive – it looked to me like a rather overgrown unkempt park – long grass and man-made dirt paths but what made it interesting was how large it was, and that you could see the bits of city and industry at its edges. It’s apparently a popular place for jogging and morning strolls, and for a long time, home to one large family of gypsies who lived off the grid and survived purely on this wild land, which is pretty bizarre to consider in this day and age, and with modernity and city life so nearby! The gypsies have since been relocated after the place was awarded National Park status in 2016. Our tour was led by Carmen from Walkabout Free Tours, and we were lucky enough to also have Mr Cristian Lascu along for the ride. Cristian is one of the park rangers currently in charge of protecting the park, but more importantly, he was also the editor of National Geographic in Romania and one of the people responsible for producing a beautiful photo story that highlighted the beauty and nature of the park, bringing it to local and international attention. Leading us through the long grass. Bring a pair of binoculars if you want to spot animals! While we were visiting, Cristian was also making sure that the park was in good condition, occasionally approaching the people around the area to say hello and tell them that poaching and fishing were not allowed on site. The park isn’t something many locals know about themselves, and with the newly achieved National Park status, much still needs to be done to educate the local community about what they should and should not do here. In true Singaporean fashion, I asked Cristian whether they had rules/fines for people caught flouting the rules, and he said he generally preferred the friendly educational approach. It can get pretty muddy in the park so wear good shoes and think about repellent especially if the weather is hot, but luckily our guide was more than familiar and led us through fairly unscathed. We headed to the observatory which is located in the penthouse of one of the nearby high-rise buildings bordering the park and where the park’s HQ is as well. 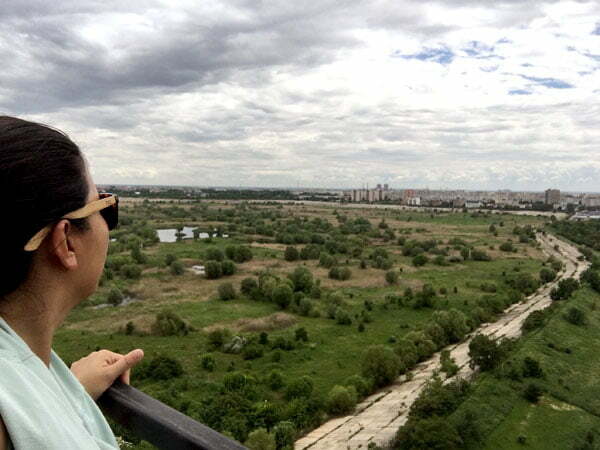 17 stories up, we had a pretty great view of the delta below, and I do look forward to seeing what developments they put in place for the future – there’s so much potential here! Take a tour: I went with Walkabout Free Tours who also organise a free walking tour around Bucharest City – you can see their account of this visit here. They don’t have this listed as a regular tour on their website though so drop them an email if you want to find out more. 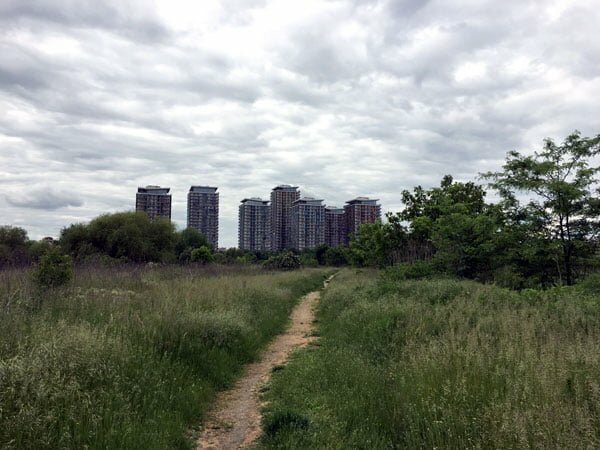 On your own: The park has only received National Park status recently in 2016 thanks to active lobbying from its supporters, so don’t expect any infrastructure right at this point – no boardwalks or signboards, but hopefully that will change in future as they figure out how to make it more people friendly without impacting the ecosystem. Thanks to Interesting Times / Urban Adventures and Walkabout Free Tours for organising and sponsoring the tours as a part of Experience Bucharest, a tourism project led by the people of Bucharest where bloggers from around the world were invited to check out this beautiful city. Our tours were a taster of what the agencies normally offer, so do check with the organisers for more details if you are interested. I’m also aware that Vacaresti should have its proper Romanian accents, but for some reason my font doesn’t support special characters and other languages right now, give me some time to figure it out! This is a great way to escape the city for a few hours! Love the pictures too! Great photos, I love Chimopar. 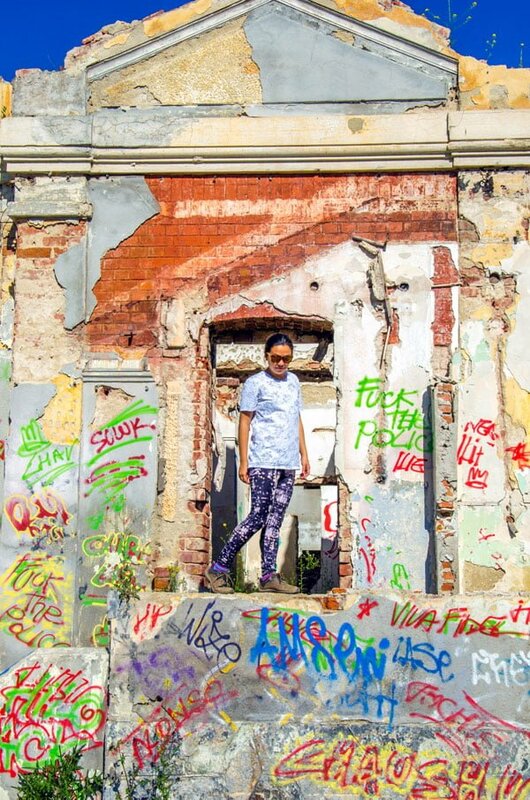 The graffitti is so cool and the chipped paint and crumbling buildings have their own atmosphere. Thanks Ketki – it was like a little time bubble we stepped into while exploring, and then pretty surreal to return to ‘the real world’ just by stepping out the gates. I am all about visiting abandoned places in my travels! Love that you went beyond and checked out these places. I am pinning this for the future when hopefully I make it there! Those textures!! I love to photograph places like this, and will definitely have to check them out when I finally manage to book a trip out to Romania (an idea I’ve been toying with for a while now). 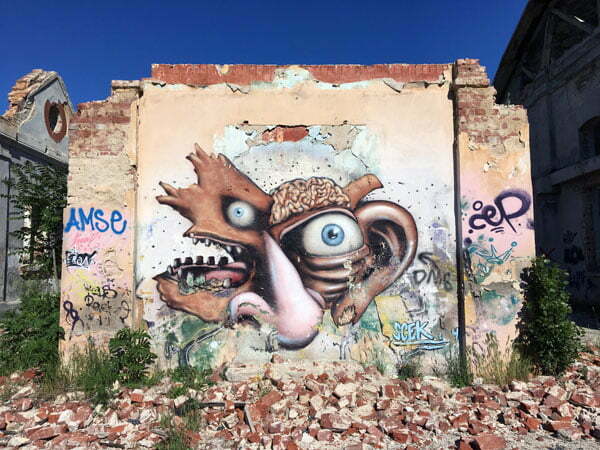 Lots to see in Romania, sights and abandoned spots galore! I kinda wish I had more time to explore the country… till next time I guess! I’ve been to New Zealand such a long time ago but I do want to go back on my own and explore properly sometime! Wow! Great photos. I bloody love abandoned buildings. There’s just such a strange feeling about buildings without ‘life’ in them – people really play a big part in creating atmosphere!